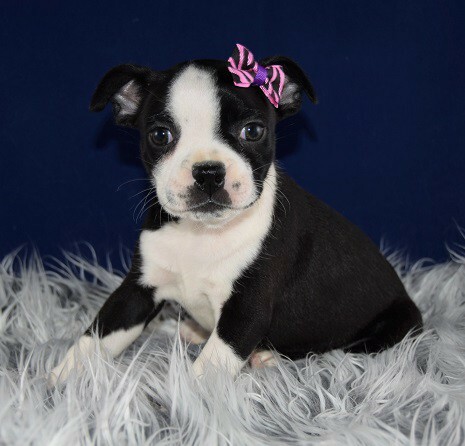 Temperament: Boston Terrier puppies for Sale in PA are a gentle breed that typically have a strong, happy-go-lucky as well as friendly personality. 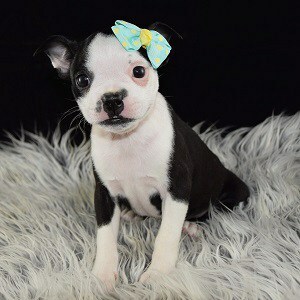 Bostons are generally eager to please their owner, so can easily be trained. The breed has a very gentle disposition, yet will become attached and protective of their owner when needed. They are a very sensible dog, and bark only when needed, making them great for apartment or town home living. 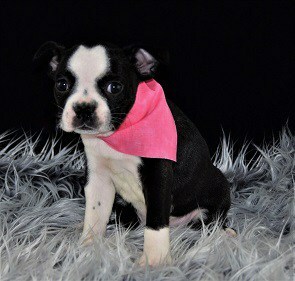 Bostons are wonderful with children, and will typically get along well with other pets. 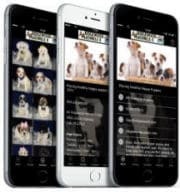 Ridgewood Kennels has been placing Boston puppies for sale in PA, NY, NJ, DE, MD, RI, and farther for more than 40 years! 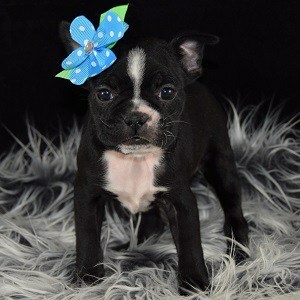 See Ridgewood Kennels Boston puppies for sale below! 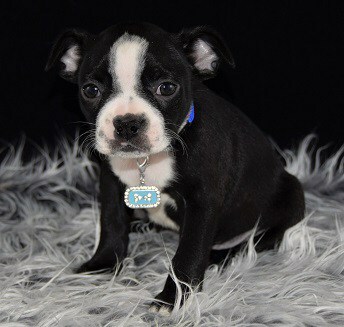 Activity: Bostons are an athletic breed and most will love taking walks, running through fields, hiking etc. However they behave well indoors and are fine for apartment living as long as they have frequent playtime. Bostons are sensitive to extreme heat. Grooming: Bathe when needed, keep nails trimmed. Also keep any wrinkles free of dirt. 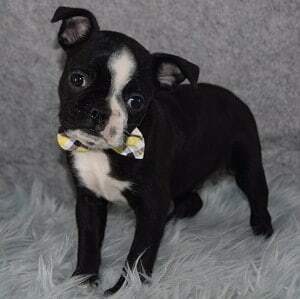 Shedding: There will be shedding with a Boston Terrier, however, they do not have an undercoat so the hairs are very short and do not cause a real nuisance. Origin: Around 1870, Robert C. Hooper, of Boston, bred down Judge, a Bull Terrier mix with French Bull Dogs, to create a smaller, house dog version of the fighting dogs. They were first known as Round Heads. 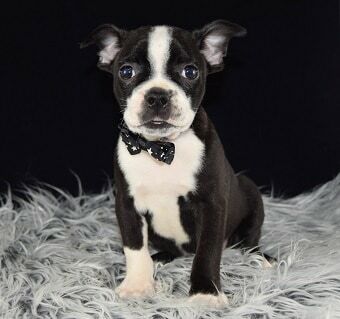 There is a very small number of dog breeds originating in the United States, and proudly, Bostons were the first breed from the United States to be recognized by the AKC in 1893. It’s almost two years to the day that I picked Parker up from you. He is the most loveable, adorable dog that I could ever ask for in my life! Thank you so much for giving me such a wonderful joy in my life!